We now provide another pathway for residential building energy efficiency compliance on top of the 'Elemental provisions', 'Star Rating' & 'Deemed To Satisfy' 'Energy efficiency assessments'! We now supply the 'Verification using a reference building' 'VURB' method of 'Energy efficiency report'. All prices have remained the same for this type of method & our price list hasn't changed in over 3 years for all assessments & we're still the 'cheapest assessment' & 'Lowest cost' supplier in WA. 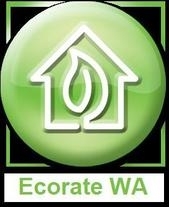 So give us a call, we're good for your building & your pocket plus we'll beat any genuine quote!